Touch Blue is a story that teaches children about what it is like to be a foster child. The book is reviewed by Melissa G. at Sweet on Books. • Chosen by Independent Booksellers as a Top Ten book on the Autumn 2010 Kids’ Indie Next List. • Editor’s Pick in Adoptive Families magazine. • Written in the first person, readers get to know the main character’s thoughts and feelings. • If your child is dealing with any fears of death, there is one short scene where they discuss drowning. • A teacher’s guide can be downloaded from www.cynthialord.com. With a small island in Maine as the beautifully described backdrop, this touching story conveys a message of compassion and kindness. Eleven year-old Tess, daughter of a lobster fisherman, loves her life on the small island of Bethsaida but everything she values may be in jeopardy. Several families have moved to the mainland and the state of Maine will shut down the island school that Tess attends unless they bring in some more students to replace those that left. For Tess, shutting down the school means more than just having to go to school on the mainland. It means she will have to move there too. Her mom is the one and only teacher there, and if the school shuts down, they will have to leave the island so that she can get a new job. She is quite superstitious, as you will see from the names of the chapters (i.e. 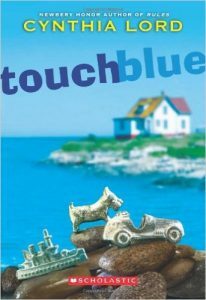 “touch blue and your wish will come true” or “a redhead on a boat is unlucky”) but realizes that it will take more than her lucky pennies to save her school. The local Reverend actually comes up with a possible solution when he suggests bringing 5 foster children to the island to live with local families. They would secure the school and help some children in need, at the same time. Tess’ family takes in thirteen year-old Aaron, and they soon realize that bringing a boy home does not necessarily make him feel “at home.” Tess does her best to show Aaron around, introducing him to the islanders she knows so well and all of the special places that mean so much to her. Aaron has had a difficult childhood, moving around to several foster homes after his mother chose alcohol over him and then his grandmother passed away, and now struggles to adjust to island life. The one thing that helps to bring him closer to his new community is his love of music and his talent on the trumpet and piano. The story takes place over a six-month period, in which Aaron learns to accept his mother’s situation and to trust his new family. At the same time, Tess and the whole island community also grow and benefit from their experiences with the new children. Tess begins to make new friends, gains the courage to sing out loud, is reminded of the significance of family, learns that sometimes you just have to “let life happen”, and realizes how lucky she is, even without all of her treasured good luck charms. As with Lord’s first book, Rules, she imparts some subtle messages and deals with some serious issues while avoiding anything inappropriate and leaving the reader ultimately feeling good. 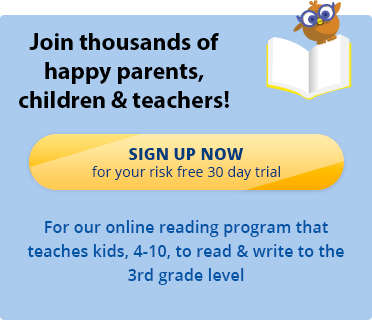 Your child will learn to read books like Touch Blue with Reading Kingdom. Sign up today for a free 30 day trial.